Different strokes for different blokes, and different styles for different gals. Keeping options for both men and women on the shelf, check out these two new fashion statements from Scorpion. In blazing color, the Scorpion EXO-500 Heritage Helmet represents your country of choice, whether it be Germany, the grand old USA, or whichever place sports green, gold and white. A retro font details the brand name across the sides, paying homage to a quainter time. 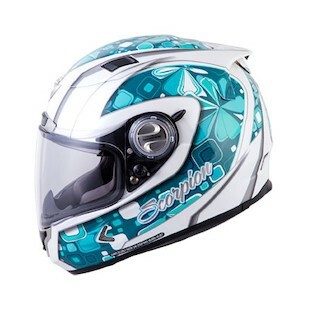 Similar script, but disparate design, the Scorpion EXO-1100 Tiffany Helmet is definitely a graphic of the female persuasion. Lovely teals and sparkling silvers decorate the Tiffany, whether rider or passenger. 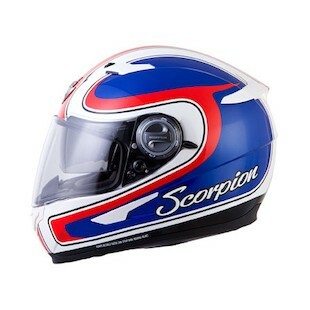 Scorpion is an easy choice for many riders, from sport to touring, track to street. Keep it simple, Scorpion (K.I.S.S), and spend your time choosing flavors instead!